Posted by wp-admin in Launch X431 Tools , Followed with No Comments. Launch Icarscan is a professional automotive diagnosis tool which manufactured by LAUNCH company. This is a specially designed auto code reader. 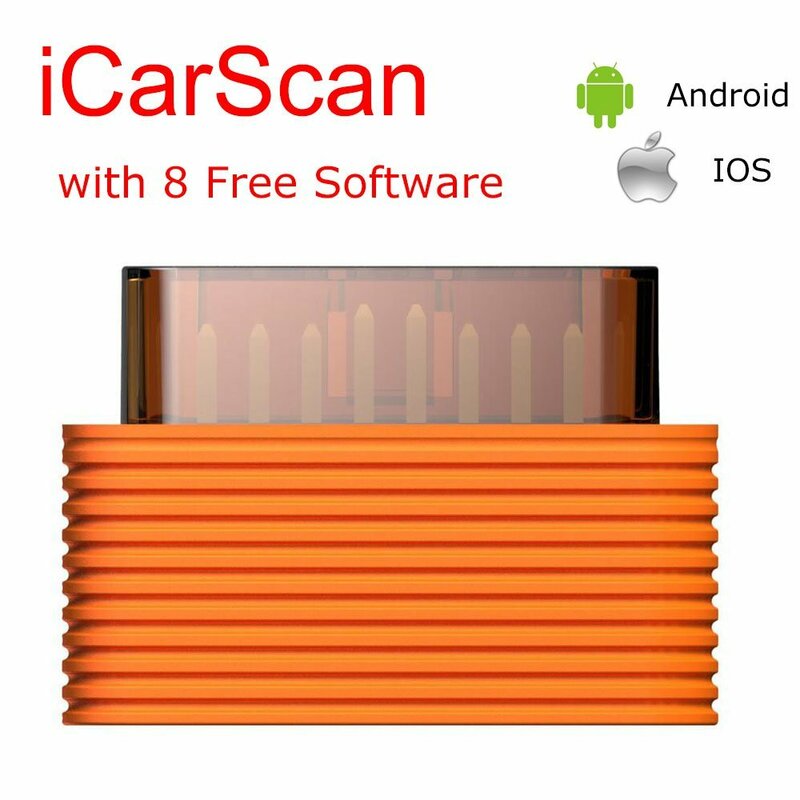 ICarScan is a smart phone based vehicle OBD2 and full sysatem diagnostic tool designed with the professional technicians and DIY enthusiasts in mind. Launch Icarscan Build-in bluetooth, easily connects with Android/IOS smart phone and tablet. The device is small and portable, yet powerful enough to rival its competitors. Launch Icarscan replacement LAUNCH X431 IDIAG , LAUNCH X431 Easydiag and LAUNCH M-Diag. Users have the option to purchase manufacturer spceific carline software based on their needs. 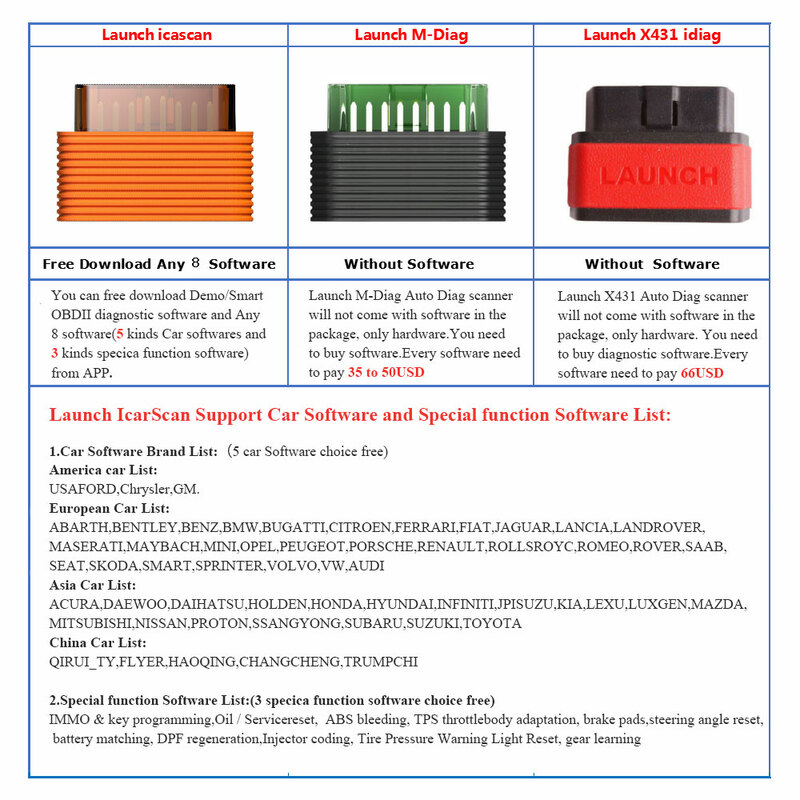 LAUNCH ICARSCAN Support the generic OBD, CAN bus, and proprietary protocols of over 70 car manufacturers and 2, 500 car models. 8 free brand of software for your selection:5 car line choice(fullfunction software), 3 special function software choice. If you need more other softwares, pls buy it from APP store. 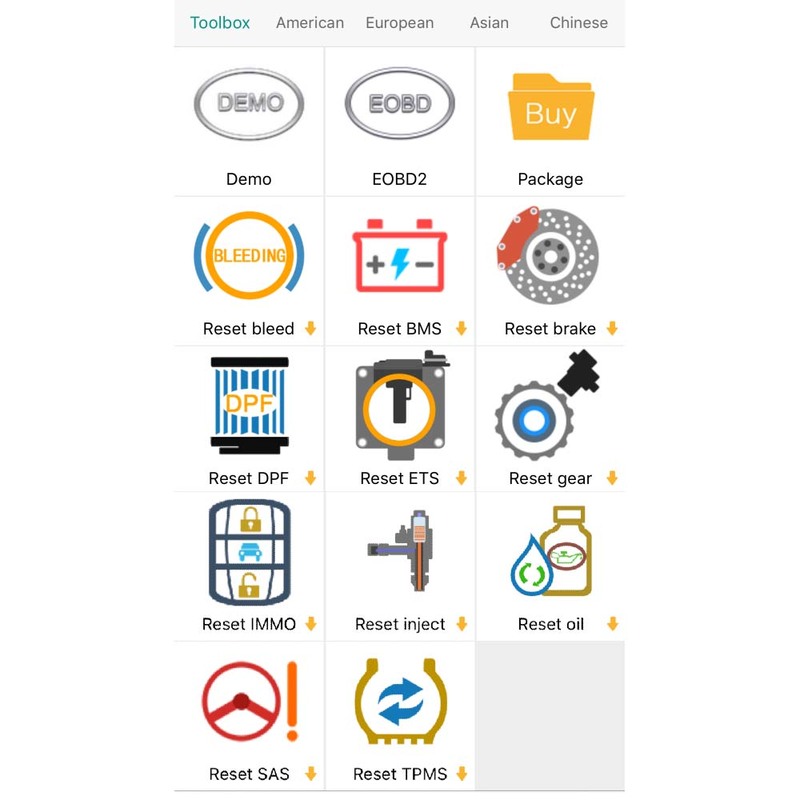 Launch Icarscan Support Special Functions like RESET SAS, RESET BMS, RESET BLEED, RESET BRAKE, RESET DPF, RESET ETS, RESET GEAR, IMMO & key programming, RESET INJEC, RESET OIL, RESET TPMS and so on. Launch Icarscan Support Multi-Language: English, Chinese, Spanish, French, Russian. You can choice the language by yourself. Launch Icarscan (M-diag) Update Software Online. You can free to download any 5 software with 3 special functions in any time. www dot obd2tool dot com offer Launch Icarscan with good price. If you are interesting in this item, please no hesitate to contact our sales.